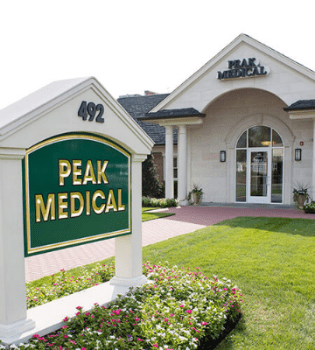 The mission of Peak Medical is to provide the finest most advanced and effective treatments available to each of our patients in a caring, nurturing environment. Our goal is to eliminate the pain and limitations that our patients suffer from so that they may lead happier, healthier, more productive lives. We will listen to the concerns of each person with compassion in the hopes that we can provide care that is specifically designed for each individual so that they can reach their healthcare goals. We promise to continually research and acquire the most advanced technology available to further our ability to provide our patients with the same care we would want for ourselves and our loved ones. Peak Medical promises to educate every one of our patients so that they can actively and intelligently participate in the progress of the healthcare they receive at our facility. Our arms and our hearts are open to all individuals who wish to lead a fulfilled and satisfying life.